Mohanad Mamoori (left) and Hiwa Asadpour (2nd from right) with Goethe Welcome Centre Manager Florian von Bothmer, and Doris Hardt, also from GWC. 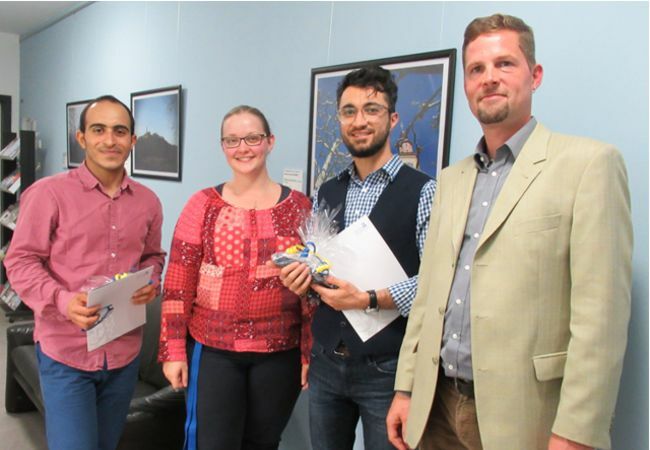 “Germany the way I see it: Different and beautiful“ – this was the motto of the photography competition organised by the Goethe Welcome Centre for international doctoral candidates for the third year in a row. A jury made up of professors, managers from the International Office, and administrative staff awarded prizes for the five best submissions during a ceremony on 25 October 2018 attended by the winners, international doctoral candidates, and guests from the administration and faculties. The winners are: Camile Kunz from Brazil (1st place) with the Frankfurt Institute for Advanced Studies (Faculty 15); Hiwa Asadpour from Iran (2nd place) with the Institute for Empirical Language Study (Faculty 9); Polina Sazonova from Poland (3rd and 4th place) with the Institute of Sociology (Faculty 3); and Mohanad Mamoori from Irak (5th place) with the Institute for Nanotechnology (joint PhD Frankfurt/Darmstadt at Faculty 13). 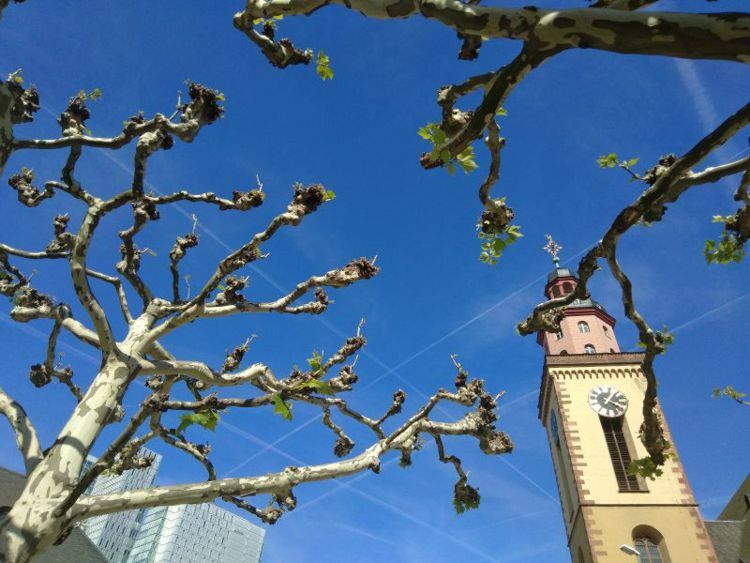 Camile Kunz photographed the plane trees in front of St. Catharine’s Church at the Hauptwache and Mohanad Mamoori turned her camera to the Main River. 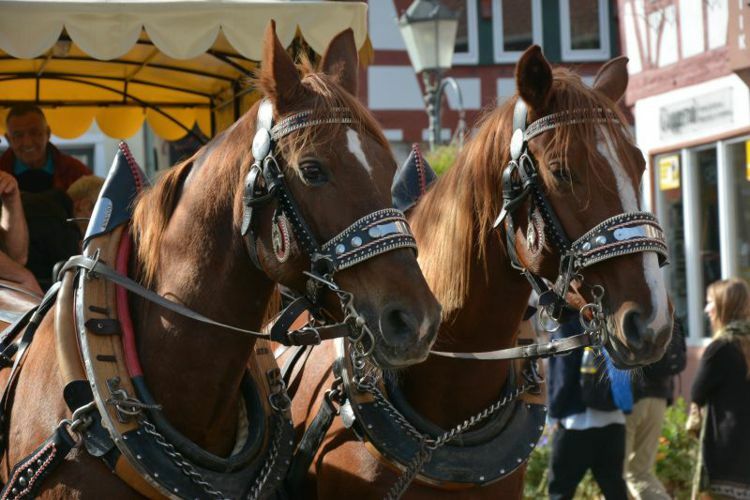 Polina Sazonova’s submissions portray the brewery horses in Seligenstadt and a fall scene in Frankfurt. 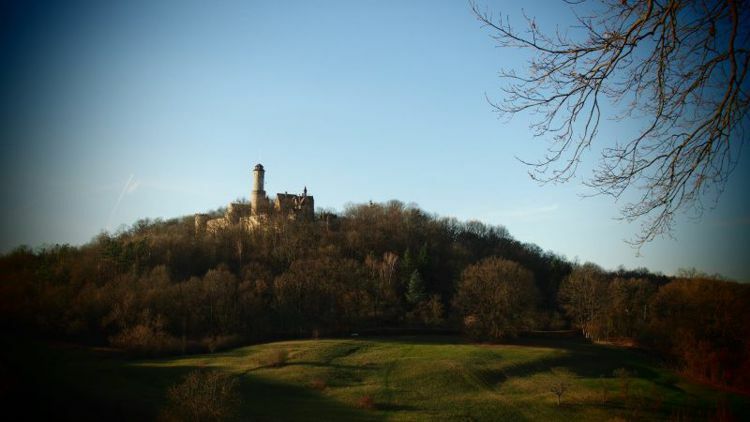 Hiwa Asadpour captured a view of the Altenburg in Bamberg. During the ceremony, the winners explained their choice of subject and reported on their first impressions of and in Germany. The new pictures can be viewed in the hallway in front of the GWC offices (Bauleitgebäude Westend Campus). The winning photos from 2017 will soon be displayed in the University Guest House in Beethovenstraße 36.